There are few vehicles on the road as recognizable as a MINI, which sets it apart from other luxury vehicles. For what began as a brilliant solution to a global oil crisis soon morphed into an international sensation, perfectly capturing the relentless spirit and optimism of contemporary culture. 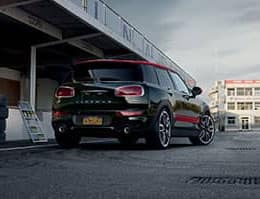 Several decades later, our size and tastes have evolved a bit, with larger models, such as the MINI Countryman, and more sophisticated materials and finishes. Despite the changes, the character of MINI is still inherent in its design qualities! 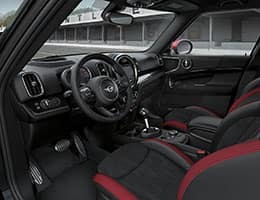 MINI offers a wide selection of top-shelf upholstery and interior finish options. Each model’s interior presents handcrafted wooden surfaces and trim and classy leather steering wheels. There is an option for customizable door bezels. The accent to these design aspects is the ambient lighting with 255 available color tones. MINI was always designed to provide more interior room. That’s why 50 years ago, MINIs were built with the transverse engine and famous wheels-at-the-corner layout. Add the hardtop’s “plant-on roof” and visitors of Otto’s MINI are consistently shocked at just how spacious the inside of a MINI actually is, especially for the tallest driver. Don’t believe us, stop in for a test drive! The iconic contrasting roof and mirrors were originally invented to help MINI stand out from the pack in races. Today, this same design touch helps your MINI stand out from the herd of uninspired motors.